Congratulations to UVA resident James H. Mehaffey on receiving the annual Founders Award from the Southern Association for Vascular Surgery. 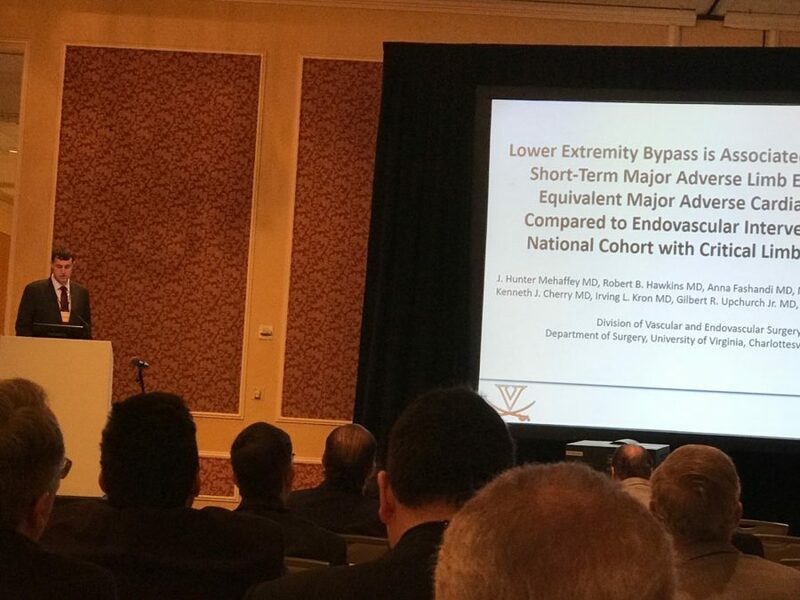 His work, titled “Lower Extremity Bypass is Associated with Lower Short-Term Major Adverse Limb Events and Equivalent Major Adverse Cardiac Events Compared to Endovascular Intervention in A National Cohort with Critical Limb Ischemia”, received the prestigious award following it’s presentation at the 2017 SAVS Annual Meeting. The award recognizes one resident or fellow for an outstanding paper annually in clinical or basic science research.